The Art of Selwyn Silberblatt - JaiBaba.com! 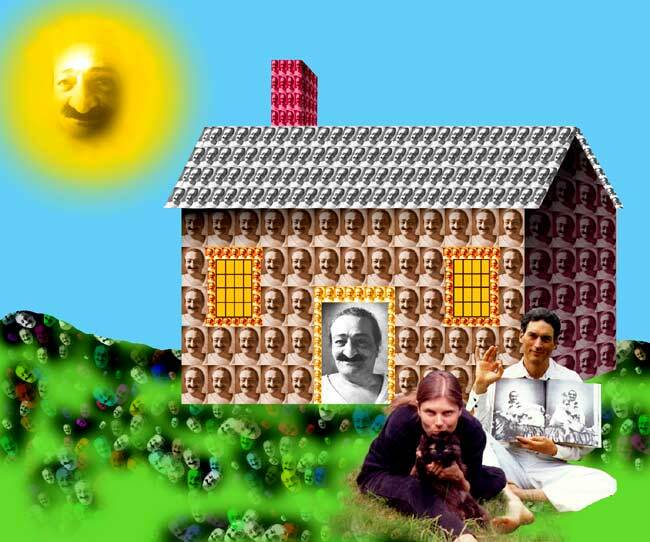 Your Avatar Meher Baba Oasis on the net! "I'm just average, common too, I'm just like him, the same as you, I'm everybody's brother and son, I ain't different from anyone. It ain't no use a-talking to me, It's just the same as talking to you." Selwyn Silberblatt lives on (in? at?) Wild Iris Herb Farm in York, Maine where he takes naps and putters around and makes things. The Herb Farm is a small herb and flowering perennial nursery run by Lucinda Clarke, a talented herbalist who lives in New Hampshire with her husband and daughter. (I add this because Baba would not like me to pretend that I run the Herb Farm). Selwyn calls it a "Farm " because he is given to hyperbole. Selwyn has created a book called "Dr. Selwyn's Music Paintings." If Baba so wills it, and puts it into the mind of a publisher to manifest it, this book may appear on your music stand or coffee table. Selwyn got his doctorate from Leprechaun University where he studied under Babar the Elephant and Lambert the Sheepish Lion. 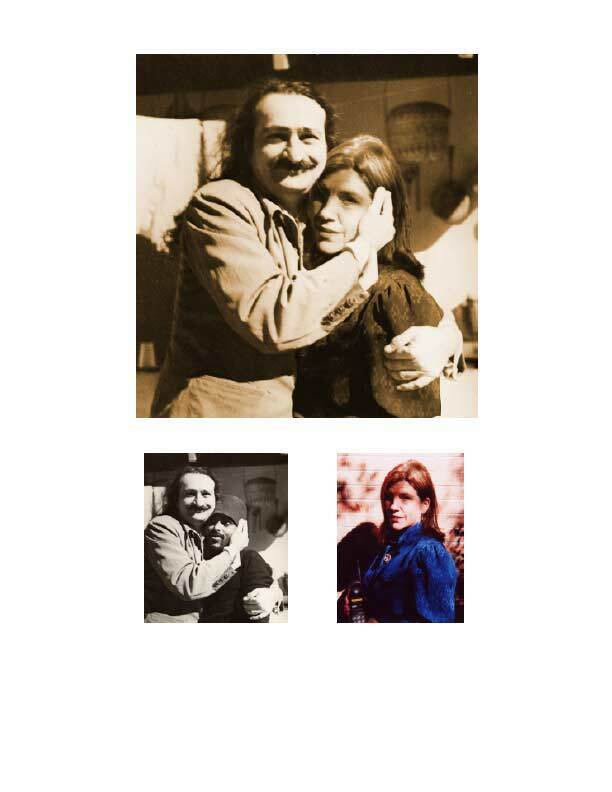 A few words about messing with Baba's image and replacing people in "original" Baba photos with "other" Baba Lovers. 1. I hope no one is offended (except those who Baba wills to be offended). 2. All images (regardless of their appearance) are images of Baba. 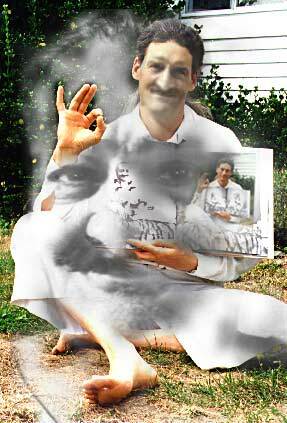 It is impossible to create an image that is not Baba. 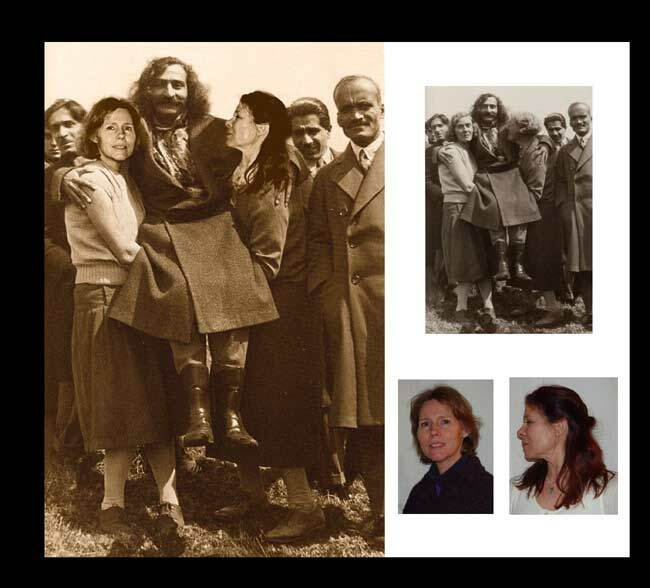 Since Baba (We) only exist in the Eternal NOW it is impossible to mess up Baba's chronology by putting a person from the "present" into a picture of Baba from the "past." 3. It is closer to Reality (in Selwyn's muddled mind) to portray a person (dog, tree or stone) in Baba's embrace, than to portray them in any other way, even if their image from a camera shows them in any context other than in Baba's Embrace. Cameras lie.